What Does It Mean if the Doctor Says My Baby Has a Motor Disorder? People with motor disorders have unusual or involuntary movements, which result from abnormalities in the nervous system. This may be caused by brain damage (often involving the basal ganglia) that occurs before a baby is born, during the birthing process, or in early infancy. Motor disorders can also have genetic origins. Cerebral palsy (CP) is an especially common type of motor disorder and can be caused by environmental or genetic factors. Cerebral palsy can manifest in a multitude of ways. The severity of motor impairment can range from mild effects on one body part (such as a limb) to requiring the use of assistive technology and extensive help with daily tasks. While cerebral palsy is defined as a motor disorder, the underlying neural abnormalities sometimes result in associated conditions such as intellectual and developmental disabilities (I/DDs), visual deficits, and hearing loss. The indicated treatments for cerebral palsy and other motor conditions vary depending on how an individual is affected. What Is a Motor Disorder? Different parts of the brain control different functions pertaining to motor tasks (movement). The type of motor disorder a child has depends upon the area of the brain affected and the extent of the damage. Children with motor disorders experience an abnormal flow of message transmission from the brain to the nerves to the muscles. This can cause involuntary muscle contractions, as well as an inability to control voluntary muscle contractions, which can make the child struggle with movement and balance. Sometimes, physicians simply diagnose the child with a motor disorder. When the child gets older, a more specific diagnosis is usually made. Listed below are common motor disorders and what they mean for the child. Spastic cerebral palsy. When a child has spastic cerebral palsy, the muscles receive improper nerve signals and contract when they aren’t supposed to. Over time, muscles become tense and short when they should be relaxed and unflexed. This prevents coordinated movement. Children can have stiff, jerky movements stemming from the really high muscle tone, which is called hypertonia. Spasticity may not be present at all times. It can be brought on when the child moves really quickly or receives certain stimulation. Dyskinesia, or dyskinetic cerebral palsy. Also called athetoid cerebral palsy, children with this type of movement disorder have mixed muscle tone. This means they have both hypertonia (tight, stiff muscles) and hypotonia (limp muscles), which can make it very difficult for a child to simply hold themself in an upright, steady position for sitting and walking. In addition, these children usually have a lot of involuntary movements. For some kids with dyskinetic cerebral palsy, it takes a lot of work just to get their hand to a certain point, such as when reaching for a cup. These children may also have difficulty holding onto objects, especially really small ones, such as a toothbrush or pencil. Ataxia, or ataxic cerebral palsy. Ataxia is caused by damage to the cerebellum; it is characterized by a lack of coordination, and frequently involves jerky movements. Children with ataxia often have difficulty writing, typing, and using scissors. Since balance is affected, many children with ataxic cerebral palsy have trouble walking. It also is common for these kids to have vision and hearing problems. Hand and forearm. Some forms of dystonia only occur when the child is conducting a repetitive activity. Face, head, and neck. In craniofacial dystonia, the child’s face, head, or neck muscles are affected by contractions. Oromandibular dystonia affects the jaw movement or tongue and may cause slurred speech or problems swallowing. Eyelids. Rapid blinking or involuntary spasms causing the child’s eyes to close can make the child unable to see. Neck. When a child has cervical dystonia, contractions cause their head to twist and turn to one side, or pull forward or backward, which can be painful. Vocal cords. Certain types of dystonia impact muscles that control vocal cords, causing a tight or whispering voice. What Are Birth Injuries and How Do They Cause Motor Disorders? The term ‘birth injury’ refers to complications that occur during or near the time of birth. Motor disorders can be caused by traumatic birth injuries (excessive force on a baby’s head during the process of labor and delivery) as well as oxygen deprivation that results in a form of brain damage known as hypoxic-ischemic encephalopathy (HIE). HIE can be caused by any interruption to the physiological pathway that delivers maternal oxygen to the baby (this involves the mother’s circulatory system, uterus, placenta, and umbilical cord). Uterine rupture: Uterine rupture can cause maternal hemorrhaging and damage the vessels that transport blood to the placenta, limiting the flow of oxygen-rich blood traveling to the baby. Fetal oxygen deprivation is known to cause damage to the brain regions involving motor control. Placental abruption: Placental abruption occurs when the placenta separates prematurely from the uterine wall, either partially or completely. It is known to cause fetal oxygen deprivation and motor impairment, especially when the placenta separates at the point where the umbilical cord is attached. Umbilical cord complications: There are several issues that can cause the umbilical cord to become compressed or otherwise unable to deliver a sufficient amount of oxygen to the baby, including cord prolapse, nuchal cord, true knot, short cord, vasa previa, and chorioamnionitis. Any of these issues can result in a motor disorder. Intracranial hemorrhages: Infant intracranial hemorrhages (brain bleeds) are hypoxic or traumatic birth injuries distinguished by abrupt, rapid bleeding within the skull or brain of a newborn baby. Severe hemorrhages can cause motor disorders and other lifelong disabilities. Forceps and vacuum extractor injuries: These instruments can sometimes help guide babies out of the birth canal, but their use is risky and often contraindicated. If misused, forceps and vacuum extractors can cause brain bleeds, motor impairments, and other issues. Labor-enhancing drug injuries: The drugs Pitocin and Cytotec can cause excessive contractions (uterine tachysystole), which can cause trauma, oxygen deprivation, and in even uterine rupture. In some cases, misuse of these drugs can result in motor disorders. Periventricular leukomalacia (PVL): PVL is brain injury to white matter, which can result from trauma, hypoxia (insufficient oxygen), or ischemia (insufficient blood flow). Babies with PVL may develop motor issues in early childhood. For a longer list of complications that can cause cerebral palsy and other motor disorders, please click here. Motor disorders that stem from birth injuries are preventable. Prenatal care physicians and obstetricians should always be vigilant for potential complications, especially in women with high-risk pregnancies. For example, they should use a fetal heart rate monitor to check for signs of fetal distress. These are indications that a baby is being deprived of oxygen and may require help. If a baby is exhibiting signs of fetal distress or there are other reasons to believe they are in danger (for example, an abnormal fetal presentation), physicians should intervene. Some interventions are simple, such as repositioning the mother. However, in certain cases, an emergency C-section may be warranted. In some cases, physicians may attempt interventions such as an assisted delivery (use of forceps or vacuum extractors) or drug-enhanced labor when there is reason to believe these actions are dangerous. If a baby is born with a birth injury, there may still be time to prevent permanent harm. One especially important treatment to be aware of is therapeutic hypothermia for babies with HIE. This must be administered within six hours of the oxygen-depriving incident, which often means within six hours of birth. Providing insufficient prenatal care, failing to monitor for signs of fetal distress, postponing necessary interventions such as emergency C-sections, and neglecting to provide therapeutic hypothermia are all forms of negligence. If these actions cause harm, it constitutes medical malpractice. How Can Motor Disorders Be Treated? Treatment for motor disorders often involves a combination of therapies, medications, and surgeries. The following are some common examples of treatments for motor disorders. The main goal of physical therapy is to promote motor and developmental skills. Daily range-of-motion (ROM) exercises are important to prevent or delay contractures (permanent shortening of muscles) that are caused by spasticity and to maintain the mobility of joints and soft tissues. Stretching exercises are performed to increase ROM. Progressive resistance exercises should be taught in order to increase strength. The use of play and adaptive toys based on the desired exercises are important in order to make the therapy fun and engage the child. Strengthening knee extensor muscles helps to improve crouching ability and stride length. Postural and motor control training is crucial and should follow the normal developmental sequence of children; head and neck control should be achieved, if possible, before advancing to lower body control. Children and their parents often enjoy hippotherapy (horseback-riding therapy) to help improve the child’s muscle tone, ROM, strength, coordination, and balance. Hippotherapy offers many social, cognitive, physical, and emotional benefits. Physical therapy is especially crucial when a child has had surgery to help correct spasticity; it helps the child obtain maximum benefit from surgery. Occupational therapy should focus on daily activities, such as feeding, dressing, toileting, grooming, and transfers. Occupational therapy also focuses on the upper body. The goal should be for the child to function as independently as possible with or without the use of assistive technology. Children who can follow directions and have spasticity of certain muscles in the wrist, forearm, or muscles that control the thumb may benefit from intensive therapy. Activity-based interventions such as modified constraint-induced movement therapy (mCIMT) and bimanual intensive rehabilitation training (IRP) can improve the child’s ability to use the impaired upper limb(s) and improve performance in personal care. Some children with motor disorders have involvement of the face and upper airway (dysarthria), causing drooling and difficulty swallowing and speaking. Speech therapy can be used to help improve swallowing and communication. Some children benefit from augmentative and alternative communication (AAC) devices. Incorporation of play into a child’s treatment program is important. The child should view physical and occupational therapy as fun, not work. Caregivers should seek fun and creative ways to stimulate children, especially those who have a decreased ability to explore their own environment. Recreational activities that can help fitness include hippotherapy, sports, cycling, water therapy, and more. Anticholinergic medications: These drugs can inhibit the parasympathetic nerve responses that cause involuntary muscle movements and excessive drooling. Anticonvulsant medications: Many people with motor disorders also have seizure disorders. Anticonvulsants can inhibit seizure activity by reducing excessive brain stimulation. Antidepressants: The physical and/or cognitive limitations imposed on people with motor disorders often lead to feelings of frustration and sometimes more serious mental health concerns such as depression. In certain cases, antidepressants may be a necessary complement to therapy and other measures to promote mental and emotional wellbeing. Anti-inflammatory medications: Anti-inflammatories can be used to manage pain symptoms in people with motor disorders. These include anti-inflammatory corticosteroids, nonsteroidal anti-inflammatory drugs (NSAIDs) and over-the-counter medications such as Tylenol. Muscle relaxants: These can treat spasticity, increase range of motion, and inhibit excessive muscle contractions. Two very important muscle relaxants are botox and baclofen. Botox is injected by a medical professional, and can be effective for several months before an additional injection is needed. Baclofen (Lioresal) can be taken orally, transdermally, or through an intrathecal baclofen pump. A baclofen pump is a surgically-implanted device that delivers baclofen straight to the spinal cord, where it is needed. There are many reported advantages of baclofen pumps over the oral version, including that it is effective at much lower dosages and therefore results in fewer negative side effects. Although motor impairments like cerebral palsy are not curable, there are many surgeries that can improve health and quality of life. It is important to note that some of these surgeries require extensive post-operative rehabilitation and care in order for the patient to reap the benefits of the procedure itself. Therefore, surgical intervention should be considered a complement to, rather than replacement for, other forms of treatment and therapy. Gastroenterology surgery: Some people with motor disorders struggle with chewing, swallowing, or digesting food. In certain cases, gastroenterologic surgery may be necessary to alleviate these issues. Some examples include feeding tube insertion and myotomy (a surgery designed to improve swallowing). Neurosurgery: There are certain procedures that can improve the symptoms of motor disorders by addressing the root neurological problems. These surgeries involve modifying connections in the nervous system. One example is selective dorsal rhizotomy (SDR), which is a surgery that may help people with spastic cerebral palsy. During an SDR, physicians test sensory nerves in the lower spinal cord in order to identify the ones that are misfiring. They can then selectively destroy these nerves, which can decrease spasticity and improve muscle tone. Orthopedic surgery: Orthopedic surgeries can help to improve musculoskeletal abnormalities, spasticity, and issues with balance and walking. Some examples include muscle releases and lumbar spinal fusion (to improve spinal stability). Pulmonary surgery: Pulmonary surgeries can improve issues with breathing, swallowing, and/or drooling. Some examples of pulmonary surgeries that people with cerebral palsy may require include airway obstruction removal, laryngotracheal separation (to separate the upper respiratory and digestive tracts), and submandibular duct relocation (to stop excessive drooling). In some cases, birth injuries and motor impairments occur as the result of medical malpractice. 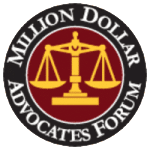 Parents of children affected by malpractice may choose to pursue justice through a birth injury lawsuit. 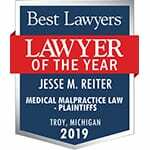 The award-winning attorneys at Reiter & Walsh ABC Law Centers focus exclusively on birth injury law, and have an in-house medical team that provides valuable insight into these cases. When we take a case, we spend a lot of time getting to know the family and child so that we can fully understand their needs. Biancotto M, Skabar A, Bulgheroni M, et al. Neuromotor deficits in developmental coordination disorder: evidence from a reach-to-grasp task. Res Dev Disabil 2011; 32:1293. Wegner LM. Gross Motor Dysfunction: Its Evaluation and Management. In: Developmental-Behavioral Pediatrics, 3rd, Levine MD, Carey WB (Eds), WB Saunders, Philadelphia 1999. p.452. Lingam R, Hunt L, Golding J, et al. Prevalence of developmental coordination disorder using the DSM-IV at 7 years of age: a UK population-based study. Pediatrics 2009; 123:e693. Faebo Larsen R, Hvas Mortensen L, Martinussen T, Nybo Andersen AM. Determinants of developmental coordination disorder in 7-year-old children: a study of children in the Danish National Birth Cohort. Dev Med Child Neurol 2013; 55:1016. Zwicker JG, Yoon SW, Mackay M, et al. Perinatal and neonatal predictors of developmental coordination disorder in very low birthweight children. Arch Dis Child 2013; 98:118. Zhu JL, Olsen J, Olesen AW. Risk for developmental coordination disorder correlates with gestational age at birth. Paediatr Perinat Epidemiol 2012; 26:572. 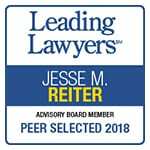 Edwards J, Berube M, Erlandson K, et al. Developmental coordination disorder in school-aged children born very preterm and/or at very low birth weight: a systematic review. J Dev Behav Pediatr 2011; 32:678. Bagnato SJ, Campbell TF. Comprehensive neurodevelopmental evaluation of children with brain insults. In: Static Encephalopathies of Infancy and Childhood, Miller G, Ranier JC (Eds), Raven, New York 1992. p.27. Quality Standards Subcommittee of the American Academy of Neurology and the Practice Committee of the Child Neurology Society, Delgado MR, Hirtz D, et al. Practice parameter: pharmacologic treatment of spasticity in children and adolescents with cerebral palsy (an evidence-based review): report of the Quality Standards Subcommittee of the American Academy of Neurology and the Practice Committee of the Child Neurology Society. Neurology 2010; 74:336. Kinsman SL. Predicting gross motor function in cerebral palsy. JAMA 2002; 288:1399.